What software does VAI use when playing with backing tracks? 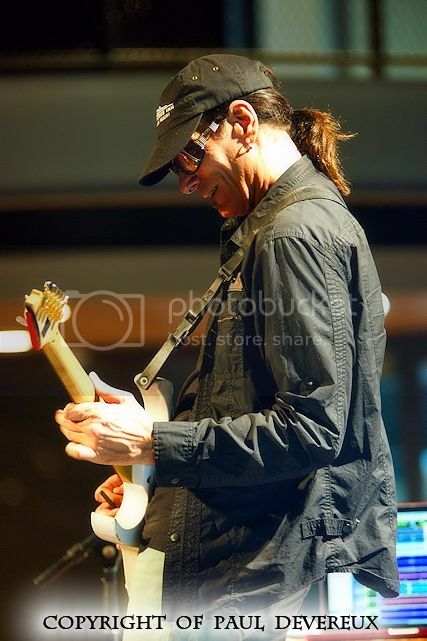 I want to know what software Mr. Steve Vai uses to play with backing tracks in his Macbook????? Is he using naked tracks or has seperate stems of all the instruments in Logic or Pro Tools?? As far as I know, I think it's Pro Tools.